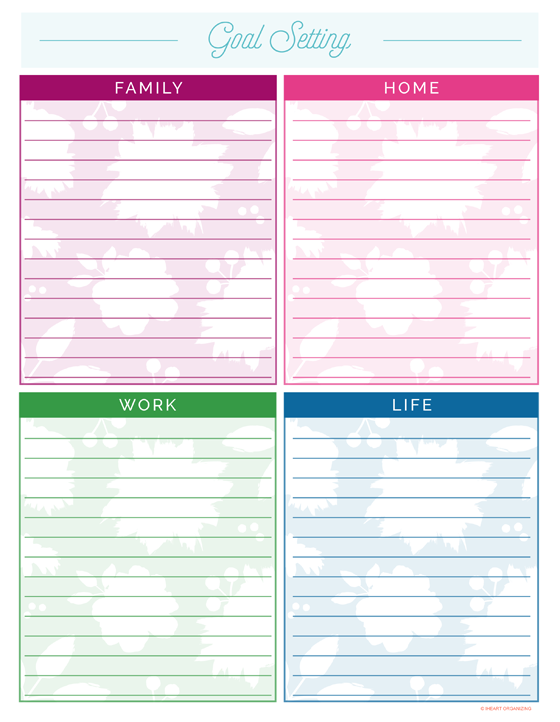 IHeart Organizing: IHeart a Free Printable: Goal Setting! 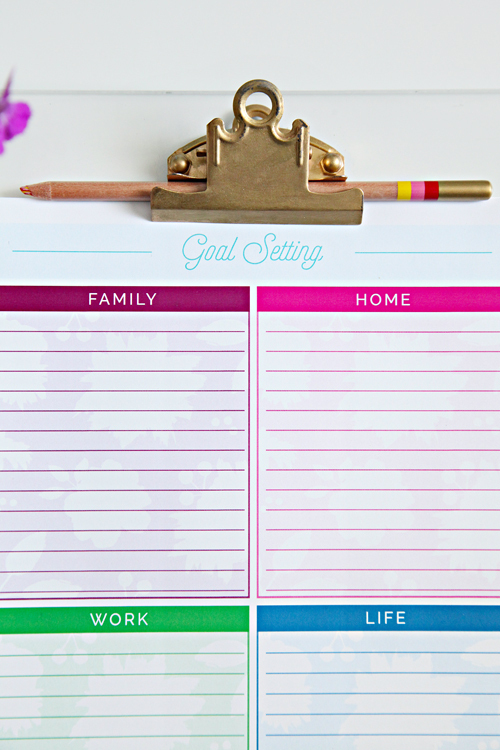 16 IHeart a Free Printable: Goal Setting! How is your week going? So far mine has been extremely productive, and I am hoping to ride that wave for the next few days! Preston's room is thisclose to being done and for some reason I just can't let it be; I keep tweaking something here and moving something there... That said, my goal is to share it with you this week. So let's cross our fingers that my final small projects are as easy peasy as I think they will be. Of course, he was happy with it weeks ago which is really all that matters. 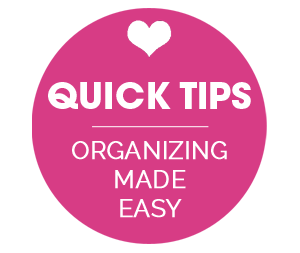 Earlier this year I decided to try something different with my goal setting, resolutions and "to do" lists. So far, I have been liking the shift I made, and today I wanted to share a happy printable that has helped me make some positive adjustments with my planning. "I just can't seem to get ahead, or even catch up." "When one area of my life flourishes, another flounders." "My 'to-do' list is daunting and never ending..."
These are all things I have said in the past year, and also things I would say frequently. But at the beginning of this year, I started to ask myself, "Get ahead of what? Or caught up to what? This unrealistic bar that I had set?" I decided it was time to be done with those feelings. I will never be caught up with email, laundry, dishes, reading, DVR and my business expense tracking all at the same time. And that is OK. I have always been the type of person to be too hard on myself, and maybe that is why I started to crash and burn last year. But this year I am forcing myself to practice patience, to be forgiving if I don't check everything off my list, to focus on what I did accomplish and to make time for... me. Although I am letting loose a little, I still have lofty goals and ideas. That will never change. That said, the document I am sharing with you today could definitely act as another checklist if you wish. It is versatile enough to be used in a variety of ways, really. But this little form of mine, is how I have been setting some realistic goals for myself for the year, and also for each week as I sit down to do my weekly planning sessions. 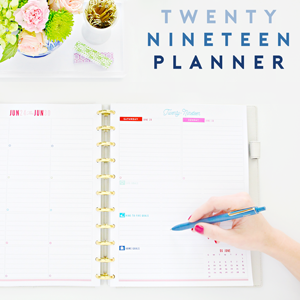 I have been receiving some requests to review the Kikki-K planner binder I have been using, and also share more details on how I use my planner in general. That post is in the works, so today I am only going to focus on this Goal Setting gem. 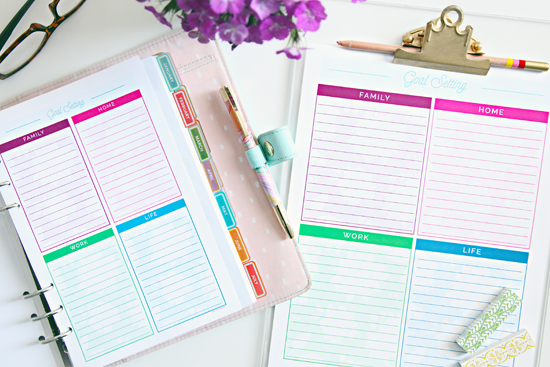 At the beginning of the year, I wrote down some very generic goals for each category shown on the printable; Family, Home, Work & Life. Although I am not going to publicly share my specific personal goals for this year, here are a few general examples of how I broke apart each category. WORK: This category is for stating long term business goals. Where do I see myself at the end of the year? 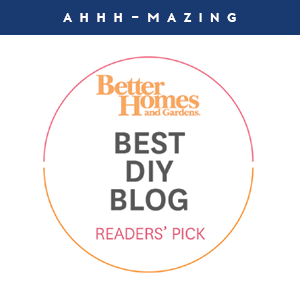 Where do I want the blog to go? And my shop? Are there specific risks I want to take or new technology to try? 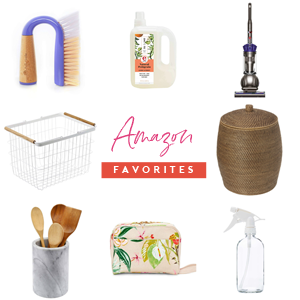 Partnerships I wish to seek? Do I have social media ambitions? LIFE: And this is where I wrote down my goals for living a better personal life. Goals to meditate, financial plans, personal relationship goals with family and friends and goals for eating/sleeping better and taking better care of my health. The idea here was to be very vague and broad and just select a few goals for each. I stayed between 3-5 within each category, to be sure I don't easily lose my way over the course of the year. I stuck the goals in the front of my planner so I can reference them on a weekly basis. 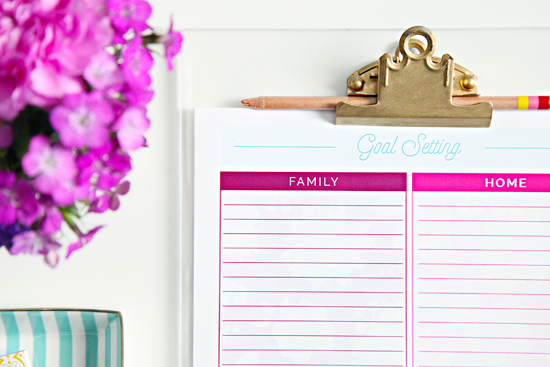 Those goals come in to play each Sunday when I sit down to plan out my week. I like to take 30 minutes each week to fill this sheet out again, this time breaking down those goals into the time I have available. 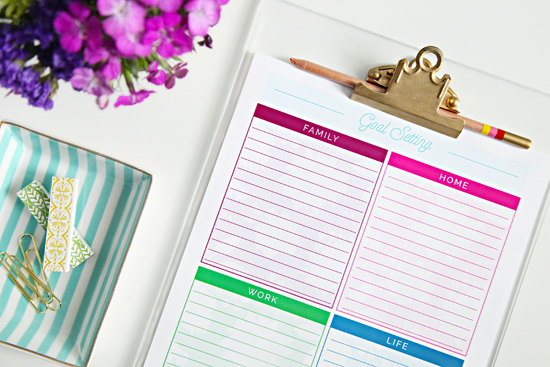 Occassionally I will place those goals on to specific days in my planner during my weekly planning session, but generally I try to take things one day at a time and add a few of the goals to my planner a day in advance or the actual morning of. This document is really helping me keep my bigger picture goals in mind, with everything I work on during the week (and also knowing when it is right to say 'yes' and 'no'). It also helps me focus on 1-3 things in all areas of my life each week, vs. my previous all or nothing mentality. Best of all, the colors make me happy and encourage me to do this exercise frequently. So while some people love to use technology to manage goals, calendars and time; I find I am most successful, mindful and motivated when I write things down. Please note - the link above will take you to a hosting site where the displayed printable image is inaccurate. The image above is a true depiction of the final product. Be sure to download the form from the hosting site and open/print using Adobe PDF Reader. 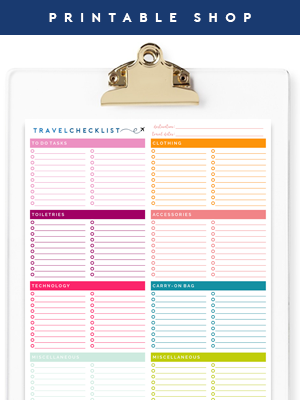 I love this, and the printable is so pretty! Thank you for sharing the printable with us! I love this idea! I constantly need to remind myself to focus on what really matters, and this will certainly help. Thank you for sharing! I'm sure you've seen it but Martha is BACK at Staples!!! Discbounds and bookplates included! Thanks for this printable. I hope it will get me on the right path to simplify my home and life. Thanks! Sounds like a great tool I could benefit from! You've called me out, Jen! I should totally be doing this! Thank you! I could use this in my planner! Thanks for sharing it! 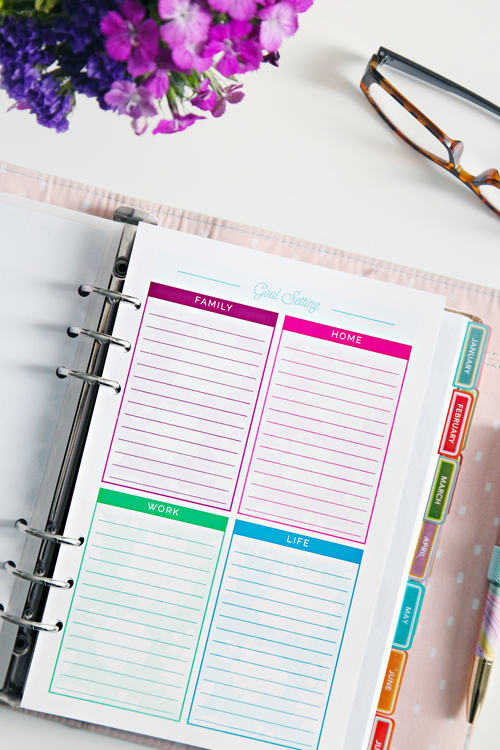 Not only does this look super cute, but it seems like a great thing to put in the front page of your planner. Here's what you're working hard for! To achieve these goals! Thanks for the free printout.